[How-to] Upgrade to Ubuntu 13.04 "Raring Ringtail" from Ubuntu 12.10 Right Now! 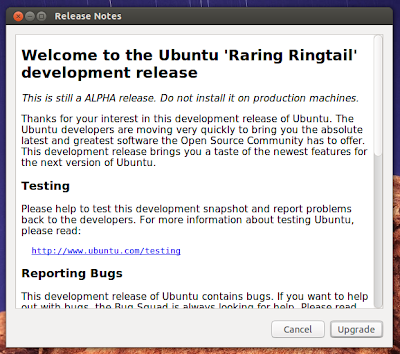 Yeah that's right, Ubuntu 12.10 is now upgradable to latest Ubuntu 13.04 "Raring Ringtail" release. And Ubuntu 13.04 is pretty stable for a beta-quality OS, though I still won't/can't recommend it for production machines. I have been using it in my netbook from the early alpha releases and it has come together pretty nicely. It is even a little more snappier already than all the previous releases. More on that later. 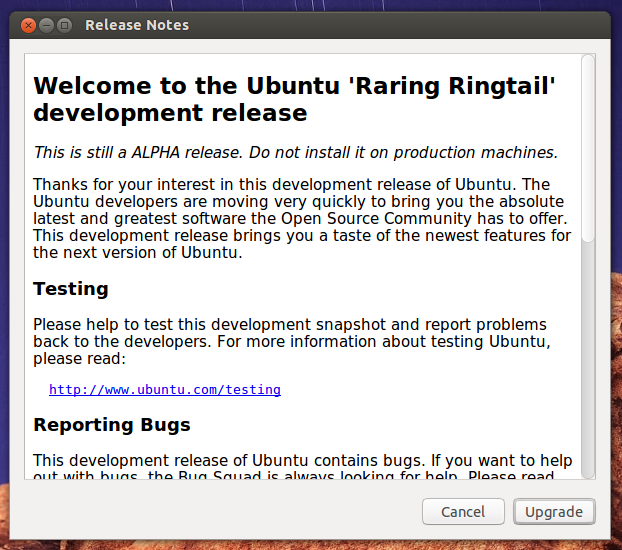 Right now, here is what you need to do to upgrade Ubuntu 12.10 to Ubuntu 13.04 "Raring Ringtail". [How-to] Upgrade to Ubuntu 13.04 from Ubuntu 12.10 in a few easy steps! When the upgrade is complete, Ubuntu will automatically restart. And that's about it. For me, the upgrade went super smooth, even though I cancelled it mid-way twice. Hope the same works for you as well. So far, it seems like a worthy upgrade. 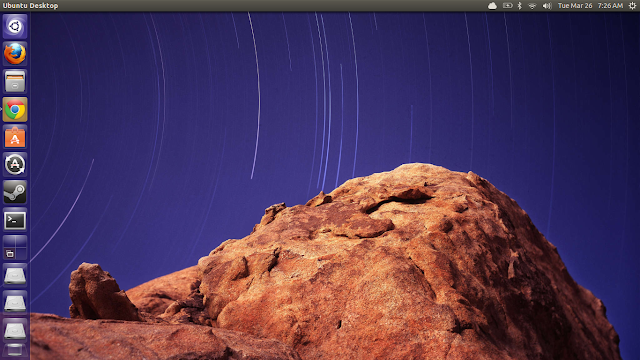 I will soon follow-up with a full-fledged review of Ubuntu 13.04 "Raring Ringtail". So stay tuned.